Restaurant jobs in United Arab Emirates are probably the most popular jobs among foreigners. Foreigners are hired for a thousands of restaurant jobs in UAE. Citizens of UAE usually don’t work in restaurants in United Arab Emirates, they are usually owners or co-owners of local restaurants. Usually, there are very few barriers to entry into this field. Restaurant jobs don’t require a great deal of formal education or practice to enter this field. Because restaurants in the UAE are numerous, there are many places for foreigners to apply for a job and work. UAE offers great job opportunities in restaurants for foreigners, especially for young people just beginning their careers. The main reason is that restaurants in United Arab Emirates are in permanent need for qualified workers to fill entry-level and mid-level positions as well as middle management positions and top management positions. Restaurant jobs in UAE are amongst the most in-demand for employees with a wide range of professional skills. Official languages in the UAE are Arabic and English, so fluency in English is sure to increase the chances of finding restaurant work in UAE major cities. UAE draws large numbers of tourists from different countries, so restaurant industry rises with a tourism development of the country. 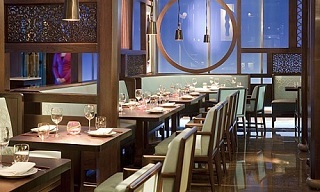 The restaurant scene in United Arab Emirates includes a couple of thousand restaurants in every single emirate. There are many different types of restaurants: a la carte restaurants, casual dining restaurants, fast food and fast casual restaurants, ethnic restaurants, barbecue restaurants, buffet restaurants, family style restaurants, hotel restaurants, drive-through restaurants, cafeterias, cafés, coffeehouses, sandwich bars, hot dog stands, truck stop restaurants, etc. Foreign citizens interested in being employed in restaurants will find that they have lots of options. Because of this, foreigners with appropriate skills will likely be able to get a job very quickly. Cooks, cook assistants, waiters and restaurant managers are amongst the most in-demand in the UAE. Foreign job seekers looking to increase their opportunities for employment may want to focus on skills development for these jobs first. 1. Bartender in UAE – beside casual restaurants, usually works in numerous coffeehouses, cafés, and cafeterias in UAE. 2. Cook in UAE – small restaurants usually hire one cook, but larger restaurants, high class hotels and restaurant chains in UAE often hire a couple of cooks like line cook, sous cook, prep cook, pastry cook etc. 3. Cook assistant in UAE – this is one of the most popular positions for foreign job seekers with limited work experience or with a lack of formal cook education. 7. Food runner in UAE – communicates with guests and supporting waiters and kitchen staff. 8. Delivery driver in UAE – restaurant job that require a candidate with valid international driving license. Work experience and formal education are not required. Driving skills are important, especially if the restaurant is located within urban centers in UAE – Dubai, Abu Dhabi, Sharjah, Al Ain or Ajman. 9. Restaurant baker in UAE – usually works in a family style restaurants, fast food restaurants, hotel restaurants and a la carte restaurants. His job is to meet the day's production goals for different baked goods. 11. Loader or Warehouse worker in UAE – often hired by large restaurant chains and works in the kichen warehouse. 17. Waiter or Waitress in UAE – one of the most popular job for job seekers with no experience in UAE. 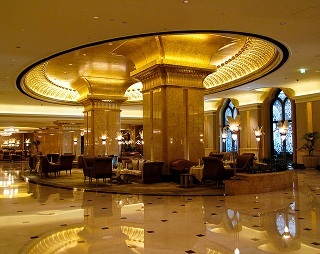 A job in the restaurant in UAE can be a very rewarding one. Those who have work experience serving in any of the hospitality jobs, like, kitchen managers, chefs, cooks, restaurant managers often earn monthly salaries above average in UAE. Delivery driver, waiter / waitress and bartender are the best paid jobs with no experience in restaurants in United Arab Emirates. Keep in mind that these are not the easiest restaurant jobs, but are a great job opportunity for job seekers looking for a career change or ready to try something total new, and for young job seekers to get their first paid job in UAE. There are just a couple of specialized job search engines or job portals for restaurant jobs. Job seekers often use local classifieds, local newspapers and local job search engines in their job search. Large restaurant chains publish job vacancies for their restaurants on their own websites. Many restaurants in UAE, especially large restaurant chains, these days accept only online applications, but there are still numerous local restaurants where just walking into restaurant and asking for a job can be an opportunity for job seekers. If you are in UAE, Visiting restaurants in desired location and asking to speak with the restaurant manager about information concerning job openings and how to apply, may be the fastest way to get a restaurant job. Number of restaurants is determined by tourism industry development, so Dubai as the fastest growing travel destination in the world and the tourist hub in UAE has the largest number of restaurants in UAE. There are more than 9.000 restaurants in Dubai, more than 30% have WiFi, more than 60% offer food delivery, about 7% have shisha, but less than 1% serve Emirati cuisine. About 25% of restaurants serve Indian cuisine, about 23% Asian cuisine, and about 10% Chinese cuisine. 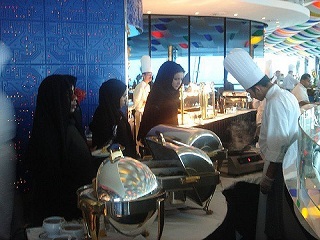 2.000 restaurants in Dubai serve continental dishes.